Saturday past brought a friend home from London (waves) and an excuse to head out with him and my usual beer buddy. We hit the Hudson and as usual got a great section of beer, without a dragon or a cartel in sight unfortunately... I particularly enjoyed the Magic Rock Rapture on tap which was all caramel malt, citrus hops and oily goodness. Dead Pony Club did its usual light hoppy thing, and it was nice to see bottles of Rogue Mocha Porter and Kinnegar Yannaroddy in the wild. 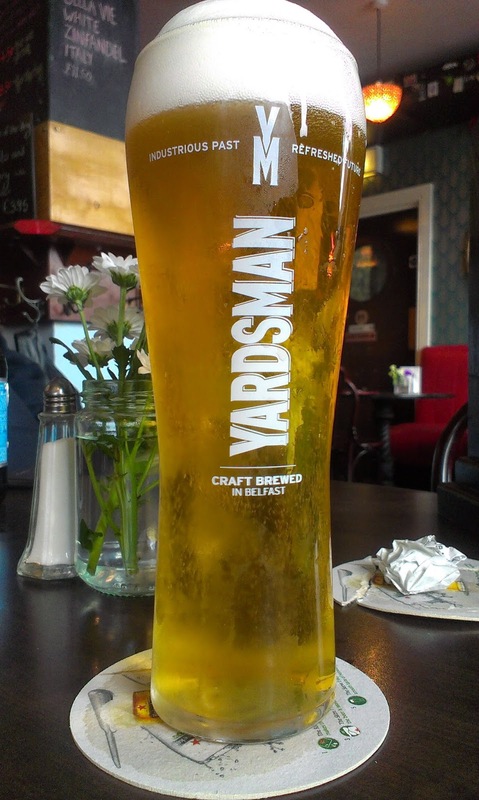 I also tried the locally brewed Hercules Yardsman but it didn't really show me too much (but in fairness I'd had a few big flavoured beers by then so probably not really a fair first tasting). Description: Toffee apple amber in colour, a slight haze (mostly induced by my yeasty pour), with a big beige head - definitely dark looking for the style (or at least what I'm accustomed too). On the aroma there's some classic clove and nutmeg spice, but there's also a hint of smoke here too. A wee bit of light toffee in the flavour, more of that clove spice, wheat, but nothing huge flavourwise - and the smoke has completely disappeared. Silky mouthfeel, mid-bodied. 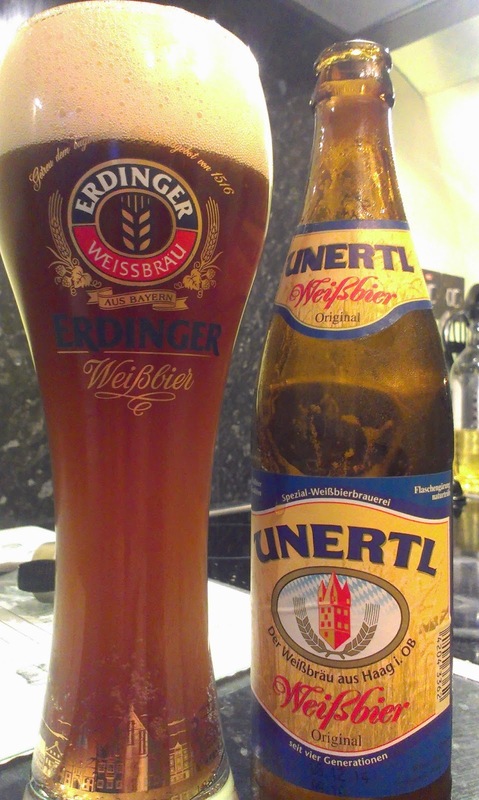 Thoughts: This was grand, and nice enough on a autumn evening, but it came across just a bit bland to me. Would try again... but wouldn't go out of my way to pick it up. Just a quick note to point out the next BeerClubBelfast is taking place on Wednesday 24th September in the Sunflower - that's a new night and a new venue. I'm working so won't be there but make sure to make be jealous in the comments or on twitter.